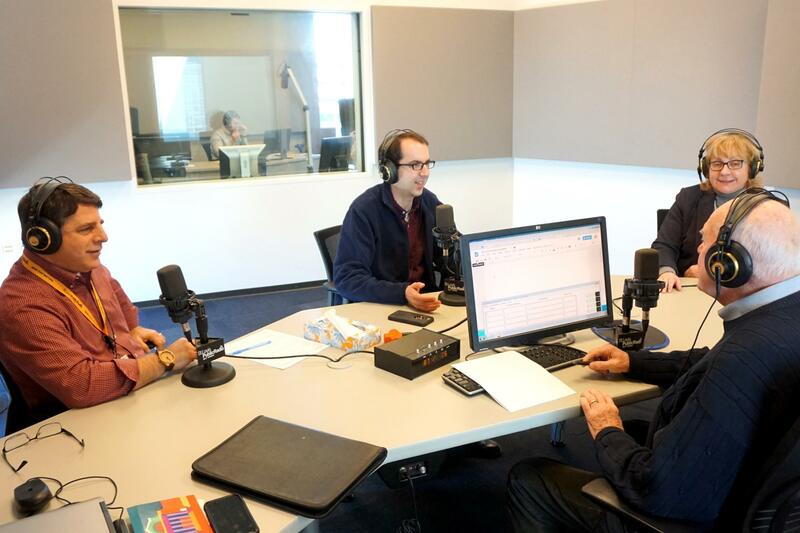 St. Louis Public Radio politics editor Fred Ehrlich (at left) and political reporters Jason Rosenbaum (center) and Jo Mannies (at right) joined host Don Marsh during Thursday's talk show. When St. Louis on the Air host Don Marsh on Thursday asked members of the St. Louis Public Radio political team which regional politics story they consider to have been the biggest story of 2018, they were split on their answers. Reporter Jo Mannies deemed now-former U.S. Sen. Claire McCaskill’s loss to then-Missouri Attorney General Josh Hawley the top story of the year, but Mannies’ colleague Jason Rosenbaum settled on the saga surrounding former Missouri Gov. Eric Greitens, who resigned in May. Their editor, Fred Ehrlich, ultimately sided with Rosenbaum. Along with the Greitens case and the U.S. Senate outcome, the conversation about the past year in politics touched on other big stories including newly elected St. Louis County Prosecutor Wesley Bell’s victory against longtime incumbent Bob McCulloch, the Illinois gubernatorial race and Missouri voters’ approval of medical marijuana. The politics team also looked ahead to what’s in store regionally in 2019.